Sunny Seaford's Sussex Day Celebrations! 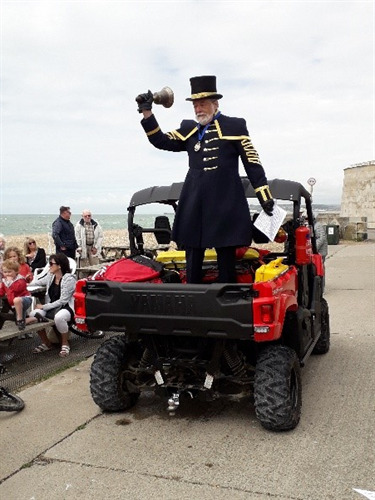 On Saturday 16th June, Seaford celebrated Sussex Day near the Martello Tower in Seaford. Seaford Town Council would like to thank all those who participated in making this small but significant event possible. Famous landmarks were recognised, as well as famous people such as Vera Lynn and inventors of Sussex Pond pudding, Banoffee Pie, television and motor racing, as well as the Seaford inventors that had ‘given the world Dyselxia’, and the craftspeople who produced The Shoal community bench at Splash point. 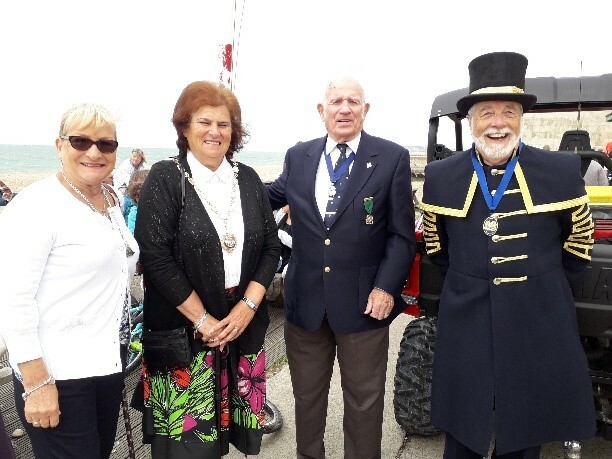 The Mayor of Seaford raised the Sussex Flag to mark the occasion, in the presence of local dignitaries, locals and visitors alike. 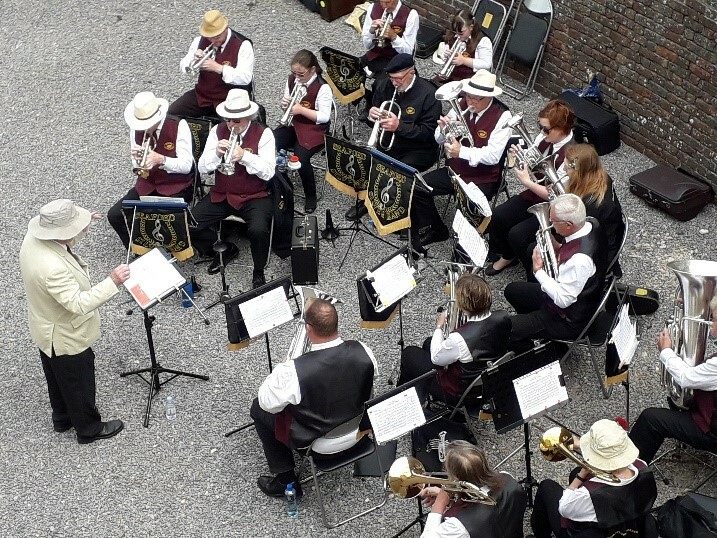 The Seaford Silver Band volunteered to play at the event, but unfortunately the wind conditions meant they had to retreat to the moat at the Martello Museum. The crowd that had gathered were invited to listen to a continued performance and would like to thank them for continuing despite the conditions. 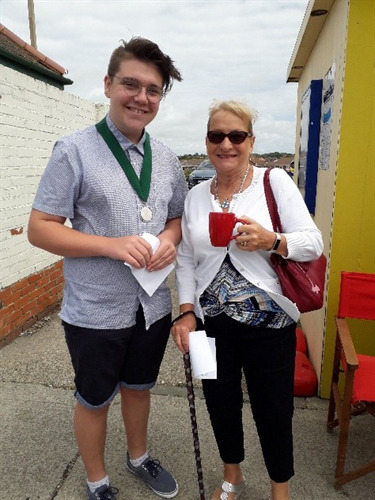 Quote of Mayor of Seaford – Cllr Linda Wallraven.